If you wanted to get into translating the Bible into a new language, what would it take? 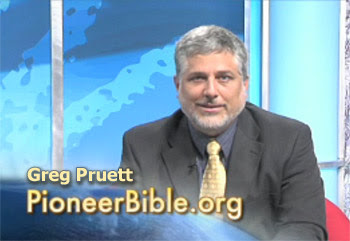 I recently had the pleasure of interviewing Greg Pruett who is the president of Pioneer Bible Translators, a premier Bible translation ministry located in the Dallas, Texas area. Greg and I discussed the passage in Matthew 24 that tell us that the Gospel will be preached to all the world and then the end will come. Our objective was to discern if the Bible was telling us that we are now living in the age when that prophecy is finally being fulfilled. Dr. Reagan: I understand that you have been President of Pioneer Bible Translators since 2007, and before that you were a Bible translator in West Africa for what, a dozen years? I also happen to know that you have a Civil Engineering degree from the Texas A&M University. Dr. Reagan: Well, how in the world did an engineering graduate in Civil Engineering from Texas A&M end up doing Bible translation work in Africa? Greg Pruett: I guess it is kind of a love story really, because I met my wife at Texas A&M and she was really passionate about Bible translation, and I was very passionate about her. Over time I just got drawn into it I guess. We both went off to Fuller Theological Seminary to study Missions and Scripture and then we did some work in linguistics in North Dakota and in Dallas before we headed off to France to learn French. Dr. Reagan: So, first of all, you received some basic training in languages and linguistics? Greg Pruett: That's right, including learning the Scripture in Greek and Hebrew. Then my first official assignment was to West Africa in an area where it had been controlled by the French at one time, but first I had to go to Paris to learn the French. We spent about a year in France learning French, which by the way is about the coolest thing we have ever done for Jesus. Dr. Reagan: Well, somebody has to make those sacrifices! Why was it necessary to learn French? Greg Pruett: Some of the people in West Africa speak French. The government's choice of language is French, and all of the police checkpoints and interactions with the government are all done in French. But, I didn't actually go to West Africa to translate the Bible into French, but rather to translate into a tribal language. The people there really honestly didn't speak French. Just a few people spoke French, but we could use that as a bridge to get into that context. Dr. Reagan: When you go into an area with a language that you have never learned before, how long does it take you just to prepare starting to translate? I mean, don't you have to be there two or three years to learn their language? Greg Pruett: It takes you about two years of learning the language. You go to the people who speak French and you ask for a few key phrases like, "What is he doing?" and "What is that?" You walk around the village taking notes concerning what is that and what is he doing. Two years later you are fluent in the language if you have a capacity for language. That helps. It helps a lot. It's still not easy, though. You walk around pointing and they say "Bong-kani," and you hope that means house, so I write that down. Dr. Reagan: Did these people already have a written language? Greg Pruett: They did not. There were some missionaries that had written down some words, but really the people themselves had never really used a written language. So, first you have to figure out how to write the language, and then the people themselves need to be taught to some extent how to read the language. Dr. Reagan: Do you use Western alphabets? Greg Pruett: We use a lot of the International Phonetic Alphabet. We also published in Arabic Script as well because some of the local people had Arabic Script. After two or three years of learning the language, we started the actual process of translating the New Testament into that language. Dr. Reagan: And how long does that take? Greg Pruett: It varies depending on the education of the people, but for us it took about twelve and a half years. It can in some cases take 30 or more years depending. Dr. Reagan: And once you get that, you have the prospect of having to teach them how to read? Greg Pruett: Right, we do that all along the way. The first day we were there the ladies of the church came to us and asked us to teach them how to read. We didn't even speak the language. Dr. Reagan: Has computer technology speeded up the process of translation any at all? Greg Pruett: It has greatly. We have computer assisted adaptations methodologies. We have all kinds of different programs that help with the original Greek and Hebrew. Dr. Reagan: Do you often find that there are tribal languages in the same area that are very similar so that you can then easily start making the translation into another tribal language? Greg Pruett: Just similar enough to do an adaptation from our language to another related language. A lot of times it is a lot harder than it sounds, but it is possible. Dr. Reagan: Do you still get out in the field these days? Greg Pruett: I spend about a month each year in West Africa. Mostly I spend a lot of the rest of my time in administration, fund raising, and those sorts of things. Dr. Reagan: How many people do you have out in the field these days? Greg Pruett: We have about the same number of people in preparation as we do overseas. We have 300 people on our team total. We have between 80 and 100 full time, career, long-term missionaries overseas, as well as a bunch of interns. Dr. Reagan: That's fantastic! Do these people have to raise their own support? Greg Pruett: Just as I do. We all have to raise our own support from churches and individuals. We look at this as a great opportunity for us to mobilize the church. We believe that is why God made it this way that we would need the Church, so that the Church can learn about their purpose to reach out to the whole earth. In the next part of my interview with Greg Pruett concerning Bible translation in prophecy, we'll marvel at the rapid pace of world missions. With an Israeli attack on Iran looming before 2012 possibly, the world could be on the brink of some prophetic wars. Should the Rapture occur before 2012 I was thinking how fitting the latest issue of The Lamplighter would be, with The Promise of Victory title and the beautiful cover of the lamb and the lion. It would make a marvelous "last issue". Frankly, I'm hoping that comes true. This is such a fulfilling ministry, is there a website available where we can see examples of these translated scriptures? What tribes in particular have these in their possession?